Is Pikachu a Good Pet? The Science of Pokemon - Pikachu! Pikachu is one of the cutest Pokemon species and my favorite ones too but wait, what is Pikachu? According to Wikipedia, Pikachu is an electric-type mouse Pokemon which is the evolved form of Pichu and are often found in houses, forests and mostly near electrical sources like power plants. 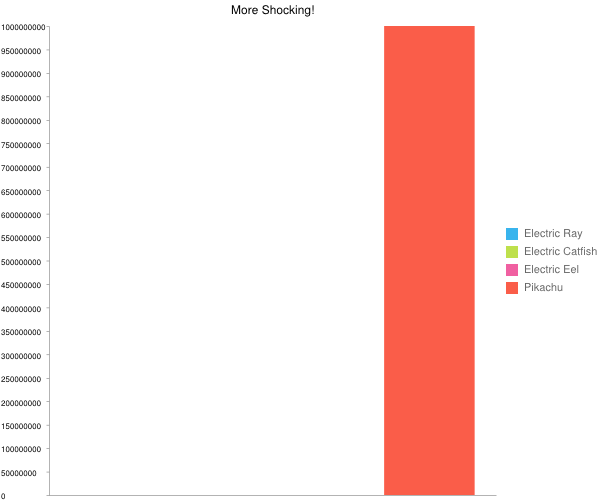 There are other animals on the Earth which can shock you. This includes Electric Stingrays, Electric Catfish and Electric Eels. These living beings use their electrical power for self-defence as well as hunting for food. 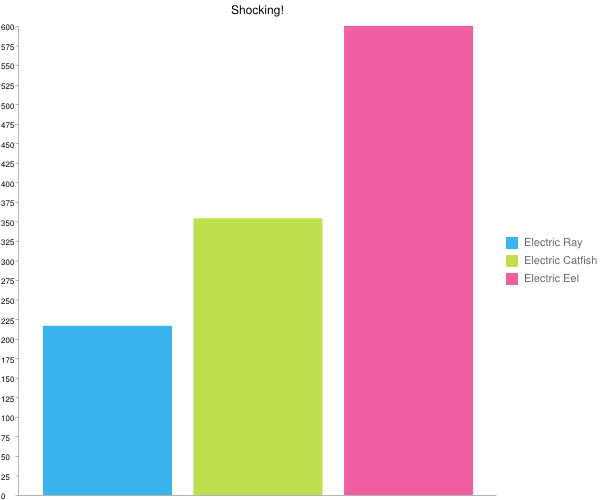 Since they live underwater we don't see any electrical discharges from their body but you can see the volts emitted by them in the chart below. A normal lightning produces about 1,000,000,000 volts and that's the reason why you can't see others in the chart! With that number Pikachu can light a 100 watt bulb continuously for 90 days! 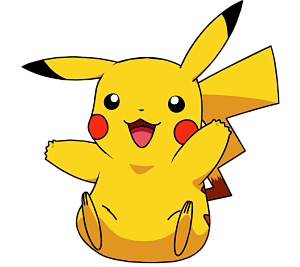 Pikachu often needs to release the buildup electricity and if unable to do so could result in a rare flu like disease. During this process Ash, who is the trainer and friend of Pikachu gets shocked. But the question is can Ash survive the shock? A normal human being can feel a 1 mA(rms) of AC at 60Hz or 5 mA of DC. Boosting the current to 30 mA (rms) 60 Hz or 300-500 mA of DC can cause fibrillation which can result in cardiac arrest. 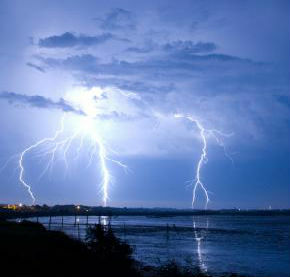 A typical lightning flash lasts for milliseconds but a typical Pikachu's electric discharge lasts for about 5-8 seconds. A single lightning bolt can reach a temperature of 53,540 degrees Fahrenheit which is about 5 times hotter that the surface of the Sun. 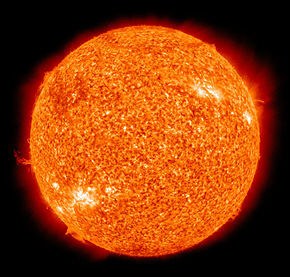 Because it just lasts for a few milliseconds, there is not enough time for the lightning bolt to burn everything around. 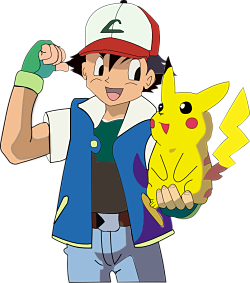 Coming back to Ash Ketchum, a single electrical discharge from Pikachu lasts long enough to vaporise him in matter of seconds and turn Ash Ketchum into just "Ash". The same discharge also has the amps and volts to stun and kill him before he even gets the chance to think about it. So, Is Pikachu a good pet? No! While Pikachu can a be good replacement for the power source for your home, but it is certainly not the safest of pet you can own. I will never own a pet which can turn me and my home into vapours! Did you like this article? Why don't you share this on Facebook and Twitter and help me out? Also don't forget to leave your thoughts and comments in the comments section below. Have a great week! PS: If you are reading this, go and like Absolute Blogger on Facebook to be informed about more such posts.